The contractor delivered data are to be released, in simplified form, as ASCII comma-separated value (.csv) files. The data format of these files are shown in Tables 2 (Magnetic) and 3 (Radiometric), below. 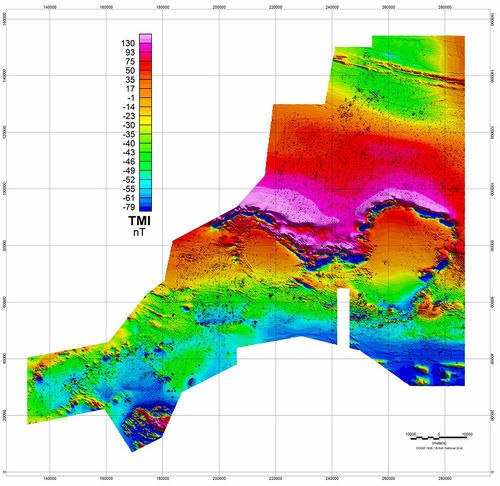 Additionally, gridded and georeferenced images of standard geophysical derived parameters are also available. These will be released for download via a BGS TellusSW data portal in the near future. Two of the standard images of the data are shown below. Figure 5 Total Magnetic Intensity (TMI), IGRF corrected to provide the final TMI anomaly data. Equal-area colour normalisation. 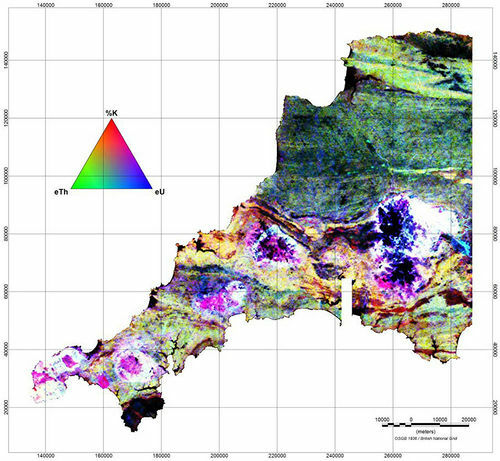 Figure 6 Ternary radiometric image formed from the Potassium (%K), Thorium (eTh) and Uranium (eU) ground concentration estimates. This page was last modified on 6 August 2015, at 09:43.